In his mind, an occasional beating is worth the thrill of mob life. Often, people are upset about something else and they take it out on you. For example, Henry says, "My father was always pissed off. He was pissed that he made such lousy money. He was pissed that my kid brother, Michael, was in a wheelchair. He was pissed that there was seven of us living in such a tiny house." He continues, "But mostly he was pissed because I hung around at the cab stand. He knew what went on at that cab stand..."
These moments feel awful at the time but they pass. They are part of doing business where you alone have to look out for yourself and set boundaries with clients. Anger delivered at you is especially hard for people pleasers, like me. I pride myself in delivering great work and delighting my clients. Those of us in the library, archives, and museum worlds love helping others so when we can’t (even for reasons outside of our control), we feel bad. But, to be successful, we cannot rely on others to give us self-worth. We develop more confidence and wisdom with each sticky situation. Tough experiences allow us to become resilient and display true grit. The most important part of handling these moments is to remain quiet and calm. I don’t engage with people who are upset at me because I haven’t found it helpful and they won’t listen. I also never want to say anything in the moment that would damage our relationship. I wait until they are done and then I leave. At a later time, once the situation has cooled off, I'll determine next steps. I never want to act out of anger or fear, and I always want to behave professionally. I also want to be understanding of people who are having a bad day and move past the incident, if possible. To shake off the bad feelings, I call someone in my support network (usually my husband who always makes me feel better). I try to get fresh air and then jump into a task that will require my complete concentration for the next hour. Sometime that day, I schedule extra time for self-care or to be physical or both. Spending more time at the gym, sweating it out in a yoga class, or taking a long bath releases the yucky psychic energy lobbed at you. 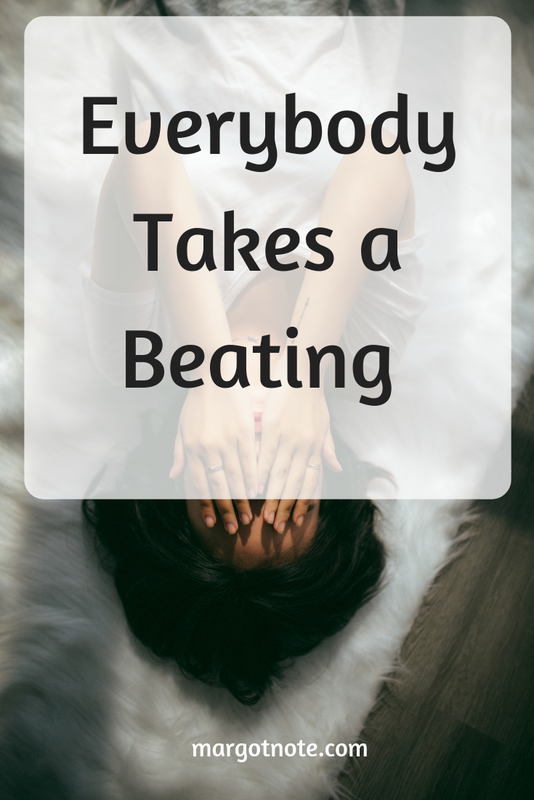 Luckily, these beatings only happen occasionally and each time I’m getting better at anticipating them and handling them. They just come with self-employment. I've found that consulting work gives me the liberation I need, and as Henry later says, "To live any other way was nuts." I'll take the highs and lows of independent work than, in the another classic line by Henry, "to live the rest of my life like a schnook."